The NY Waterway ferry system recently completed gplink installations aboard two of their vessels, the Abraham Lincoln and the John Stevens. This ferry system services all of New York City, including Manhattan, and has carried over 65 million passengers since 1986. Shortly after the gplink installation aboard the Abraham Lincoln was completed an abnormal fuel consumption reading was noticed on its port engine. Other engine readings indicated an overloaded condition. The Port Engineer, Ralph, decided to drydock the vessel for an inspection. Foley, Incorporated, the Caterpillar dealership for New Jersey and Staten Island has recently completed installation of the first gplink® unit in a New York Waterway ferry. Ron Lisoski, Product Support Rep with Foley Cat, coordinated the installation on the Abraham Lincoln, one of the vessels in this fleet. 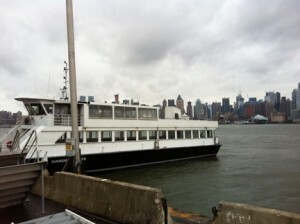 The Abraham Lincoln is the first ferry in the New York Waterway System to have gplink installed. 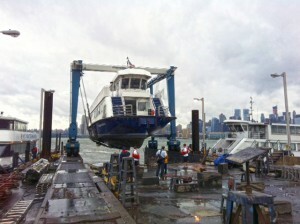 The New York Waterway System services all of the New York City area, including Manhattan. Short and long runs, from 65 miles north of the city to 45 miles south of the city, are also available. Since 1986, the NY Waterway has carried over 65 million passengers. NY Waterway is a family business where customer safety & satisfaction are top priorities. Using gplink to monitor this fleet will help ensure safer operation by detecting engine issues before they become a major problem. 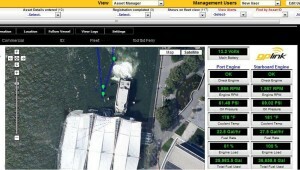 The gplink system will also enable fleet managers to view & track each individual vessel remotely.